Collins Booksellers - A Bigger Prize by Denis Gray, 9781475993868. Buy this book online. When trainer Frank Black Machine Whaley of View Point, Texas, dies of a heart attack in 1946, Elegant Raines, an eighteen-year-old black prizefighter, must find a new trainer. Raines calls on Leemore Pee-Pot Manners, a boxing trainer who lives in Longwood, West Virginia. Any honest man would say Pee-Pot knows more about boxing than anyone alivewhether that man is black or white. Rainess goal is to become the heavyweight champion of the world. Under Pee-Pots tutelage Raines wins not only the middleweight championship, but the light heavyweight championship, marking him as one of the greatest fighters of his time. During his quest for the title, Raines falls in love with Gem Loving, a pastors daughter whose father, Pastor Embry O. Loving, maintains a dim view of fighters. Gem must fight for Raines in ways her father will condemn. 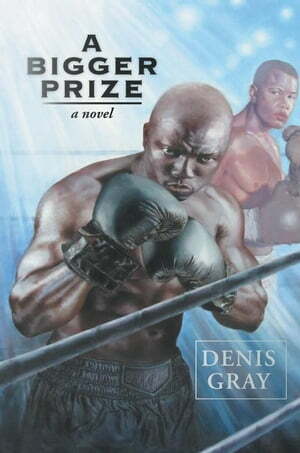 A Bigger Prize tells a fictional story of the boxing world in the 1940s and what the sport meant to both blacks and whites of the time. It considers the question of whether Elegant Rainess bigger prize is the worlds heavyweight championshipor something outside the ring more violent than boxing and its reward.